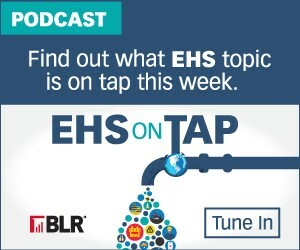 In this episode of EHS on Tap, sponsored by Cority, we’re diving into a topic that can sometimes be a bit intimidating for EHS professionals—implementing EHS software at their organizations. As any safety pro knows, it can be difficult to get management to buy into initiatives, especially new and unproven ones … and even if you can get the buy-in, you still have to figure out the right direction to take when considering software. Joining us on today’s podcast is Pamala Bobbitt, Director of Product Marketing and Channels at Cority, where she is in charge of the expansion of Cority’s partner program and brings deep expertise in EHS processes and software to the role. Listen below for her thoughts on how you can establish management buy-in and keep your EHS software project on track. To learn more about how Cority can help you make the business case for EHS software and improve EHS program performance at your organization, visit www.cority.com.